India win ICC Test Championship title for third successive year, also bag the million dollar prize. 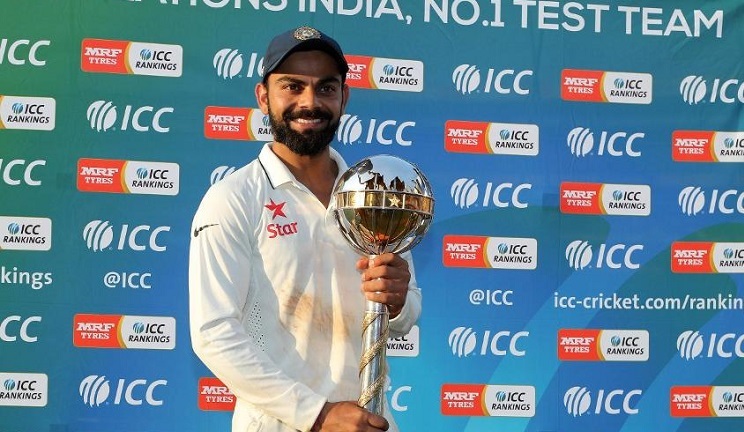 India have retained the ICC Test Championship Mace and won the purse of $ 1 million for a third year running after finishing at the top of the MRF Tyres ICC Test Team Rankings on the cut-off date of 1 April. New Zealand have ensured second place. South Africa, who had finished second the previous two times, will now get a prize money of $200,000 for finishing third with 105 points. Australia who edged out Engalnd on decimal points at 104 points bag $100,000.